Stephen Josiah Bryen was born in Sydney on 18 August 1848, son of John and Ellen Bryen. On 14 May 1873, at St Barnabas Church, he married Emma, daughter of his father’s business associate Jonathan Howard. They had two sons and three daughters. He died at Randwick in 1909. Stephen Bryen’s father John was an Australian-born brick-maker who became a successful land speculator. From 1842 he was the landlord of The Australia Inn, on the corner of George and Abercrombie streets, but Stephen Josiah Bryen did not follow in the family business. He was educated at the Collegiate School, Glebe Point. He was articled to George Allen Mansfield and became an architect. In 1877 he was at Glebe Point Road. By 1895, Stephen Bryen JP had moved to Avoca Street, Randwick. 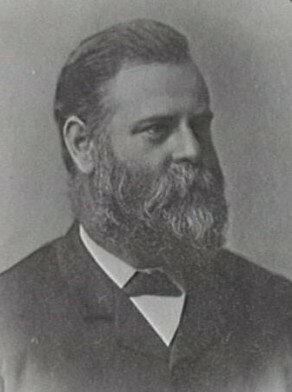 Bryen became Alderman for Phillip Ward from 1 December 1884 to 30 November 1890.